NEW BRITAIN - The No Boundaries Youth Theater will be holding its first art show and auction this summer, featuring work of all mediums from artists of all ages and abilities. The event will take place on Saturday, Aug. 25, in hopes to celebrate visual arts and raise money as part of its five-year strategic growth plan for the company’s highly anticipated future. According to Executive and Artistic Director Darren Farrington, the event came to be after the idea was mentioned by some of the newest team members for the Board of Directors. “Many of the kids and some parents are artists and would be interested in this. After talking about it with several people, it seemed to be the most popular idea for a fundraiser,” Farrington said. 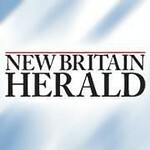 Formerly known as the New Britain Youth Theater, the NBYT was selected by Connecticut Magazine as Best Children’s Theater in 2017 and prides itself on its acceptance of children from all communities, backgrounds and abilities. Art entries of all skill levels are welcome. An entry fee of $20 per piece will be charged for adults, though students up to the age of 26 can enter pieces free of charge. Art can be submitted Aug. 18 from 9 a.m. to 1 p.m., Aug. 24 from 2 p.m. to 6 p.m. or by appointment. According to Farrington, all art must be original display ready and available for sale. A commission of 30 percent is recommended to the theater. Cash prizes for winners will be awarded for students ninth grade and older and for adults in the categories of Best in Show, First, Second and Third Place. Non-cash prizes will be given to students below ninth grade. Farrington said that he also hopes the money generated from the event will help expand the 8-year-old theater for the years to come. Farrington and Donaldson emphasized that the event will benefit the entire community. “There’s so much amazing stuff happening in the city, so we’re pretty excited to just showcase all of this,” Donaldson said. “It’s all about community and bringing awareness to the visual arts. Tickets for the show and auction are $20 apiece, $10 for students and free for those under the age of 10. The NBYT also offers a variety of other programs and opportunities, including drama and individual “coaching” lessons for children and young adults. For more information, visit www.nbyt.org/artshow.html . Posted in New Britain Herald, , New Britain on Tuesday, 10 July 2018 20:19. Updated: Tuesday, 10 July 2018 20:22.